OP, or back labour, is when the baby’s back faces the mother’s back, rather than the preferred back to belly (OA) position. 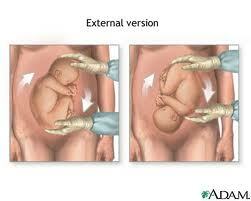 The problem with back labour is that it can be longer than an OA labour, with pain focussed in the back. For first time mothers, this can add to the length of labour too, often resulting in many interventions and eventually a generally emergency caesarian. A Transverse baby is lying across the abdomen rather than down, and a breech baby has their feet down instead of the head. While the internet is an amazing resource with information on just about anything, that is also it’s downfall â€“ where do you start? 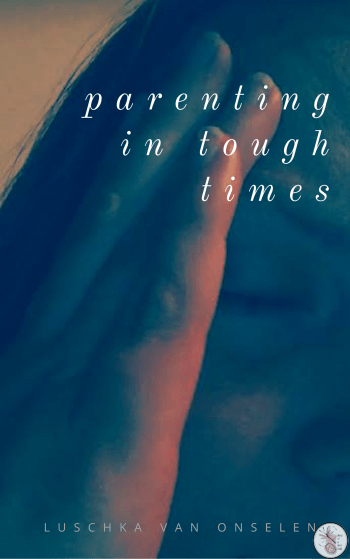 So rather than reinventing the wheel, I’ve compiled a list of resources for those with back-to-back, transvere,or breech babies both on trying to turn your baby and on dealing with labour. Babies can turn back to back at any point â€“ my daughter turned at the start of labour, leaving me with 48 hours of back labour before she was born naturally in a home water birth. There are also Three Principles in Pregnancy to help towards a healthy labour: balance, gravity and movement. If you’re already in labour when you realise your baby has turned, there are things you can do too. The problem is that not many people start Googling through contractions, so really, you need to have practised these or at least know what to do during pregnancy already â€“ or ask your birth partner to master them, in case. Explore the rest of Spinning Babies if you have a chance. It has a richness of information that will help you prepare for labour â€“ and the better prepared you are, the greater your chance of having the birth experience you want. Yoga during pregnancy can help too. 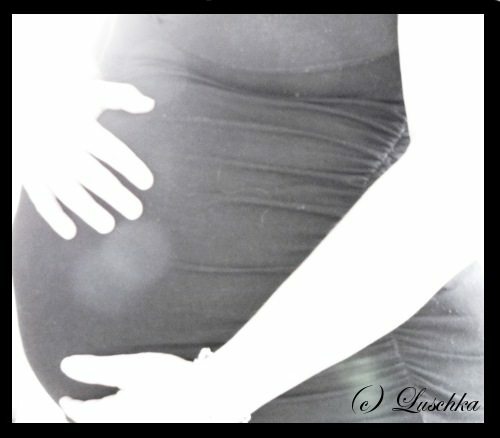 At 34 or so weeks, my daughter was transverse. In other words her head was by my hip and her feet by the other hip. I had to get her to turn if I had any hope of a non-surgical birth. A good instructor will not only help you iron out the aches and pains â€“ I had terrible sciatica, which would disappear for at least two days after a yoga session â€“ but will teach you moves to assist you in an active labour. They will teach you how to breathe through labour â€“ the golden thread saw me through transition without any screaming or crying and honestly, pressure, but no pain. If you can’t attend a class, buy a DVD or watch on Youtube. Just a word of caution â€“ don’t do anything that causes pain or discomfort. In a class an instructor can correct posture etc, but at home you’re on your own. If anything feels uncomfortable â€“ STOP. Try to find instructions for the cat, horse, butterfly and squat postures and make sure to practice the ‘golden thread‘ breathing. You can use a yoga ball to sit on and do figure of 8’s with your hips. This also encourages your baby into a head down position. Birthing Sense also shows some moves, and gives other tips, including acupuncture for turning specifically a breech baby. Something a little ‘out there’ that people have claimed worked is having the baby’s father (or another voice the baby should ‘recognise’) go down on his knees while the mother stands and ‘talk’ to the baby â€“ the idea being that the baby will turn towards the voice. (also known as an element of haptonomy). When our daughter was transverse, my husband spent a lot of time talking to my belly button. My daughter did turn, but I can’t say what exactly (of all the above) made her do it. If all else fails, and you cannot turn your baby, but you do not want an elective caesarian, the best advice there is is to find a doctor or midwife who will support you in your natural birth. There is widespread fear about natural birth for specifically breech babies, but the reason does not have it’s basis in biology.It is possible to have a back to back baby naturally. It’s going to take longer and might be more painful, but with the correct support and a lot of movement (active birth) it is possible and amazing. It is just as possible to have a breech baby naturally. There are lists of studies, amazing videos, birth pictures, and masses of information, if you want to know more. During labour â€“ if you are not dilating, called Failure to Progress, lie on your left side with a pillow between your legs. I was still at 4cm after 45 hours of labour. My mother â€“ a midwife in Australia â€“ suggested this position and I went from 4 to 8 cm in 1.5 hours, then from 8 â€“ 10cm in the birth pool in the final hour. Sadly, this is not a technique that UK (not sure about US) midwives utilise or are aware of. In the end, remember, this is one, two, maybe three days out of your life. The discomfort, sleeplessness or ‘pain’ is for a time. You are strong, you are capable, and your body was made to be able to do this. Although an AP baby is not able to be turned from the outside, the exercises above should help. If they don’t, you need to find ways of coping with pain, such as a TENS machine, and ways of keeping yourself calm, such as Rescue Remedy. Here’s a list of natural medicines that can be used during labour and birth. Remember that it’s not pain for pain’s sake â€“ each contraction brings your baby a little closer to your arms. Stay off your back and on your feet, and allow gravity to help move your baby down. This video shows you several positions to effectively relieve back labour pain from a baby who is not in the optimal fetal position for childbirth. And finally â€“ a little something to leave you with: childbirth videos that are helpful, even when you’re pregnant. Pingback: Transverse lie baby ?